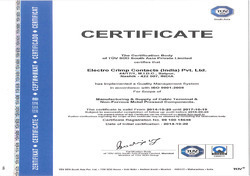 We, Electro Crimp Contacts India Pvt Ltd, established our presence in 1997 as ISO 9001:2008 certified manufacturer, supplier, trader, exporter and service provider of a comprehensive range of Electrical Cable Accessories. Our product portfolio comprises of Cable Lugs, Bi-metallic Lugs and Metal Connectors. These products are highly regarded for their durability, optimum finish and excellent resistance properties and are highly demanded in the market. 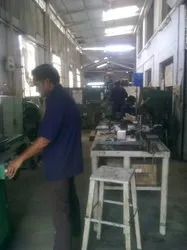 In addition, we also offer lab testing, plating, branding, assembly, customization and supply chain management services as per the varied needs of the customers. Our services are highly reliable and are rendered within the predetermined time frame. We have established a sound infrastructure that in spread over a vast area. It is equipped with advanced machinery and world class amenities that help us to function in a smooth manner. Our infrastructure is segregated into multiple divisions in order to gain maximum operational efficiency. These divisions are production, administration, quality assurance, services and logistics departments. All these units function in a harmonized manner in order to achieve the organizational objectives in a timely manner. 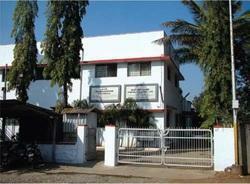 Our facilities are efficiently managed by our team of dynamic professionals. These individuals have been chosen for their expertise and attitude and are proficient in their respective roles and responsibilities. We export our products globally. We are a private company, established under the visionary guidance of Mr. Madhukar Brahmankar, who has taken the organization to heights with the application of his brilliant leadership skills and vast domain knowledge. We maintain high ethical standards and believe in conducting our business with integrity and honesty. Manufacturing & Trading & Services of Cable Crimping Systems, Copper & Aluminium Connectors. We are committed to the Electrical, Electronics and Locomotive industries in their efforts to serve their customers by providing competitively priced, high quality products on time. Our organization is known in the industry as one of the leading organizations engaged in manufacturing and supplying a comprehensive range of Cable Glands, Cable Lugs & Cable Terminal Ends. These products are manufactured using advanced technology and finest quality metals in order to ensure their efficiency and high-functionality. Every product offered in our range is specially designed to tolerate high degree of friction, corrosion and abrasion. Quality tested on various parameters, these products are appreciated for attributes like durability, longer functional life, dimensional accuracy, precision engineering and sturdy construction. We are lucky to have the support of our pool of expert professionals, who have been serving this particular industry of electrical products for years. With rich industry experience, they have gained the complete knowledge and domain expertise pertaining to this industry. Work in our organization has been assigned analyzing the skills and expertise of every individual so that their potential could be fully utilized. Their support and assistance have helped us in fulfilling the exact requirements of our customers. Regular training sessions and workshops keep our professionals updated with the recent trends and developments in the market. Since our establishment, we have laid due stress on maintaining high quality standards. Our products are manufactured using high grade materials that are obtained from reputed vendors in the industry. Each stage of the production process is closely monitored to ensure that no discrepancies take place that affect the quality of the products. Our products are subjected to quality tests based on several parameters that include surface finish, resistance properties, durability and dimensional accuracy. Only those products that satisfy all the criteria are made available to the customers. Our organization has developed a state-of-the-art and sound infrastructure facility, which plays an integral part in delivering optimum quality Cable Crimping Systems, Copper & Aluminum Connectors to our clients. Fully equipped with sophisticated machines and tools for manufacturing as well as quality testing our product range, our infrastructure acts as the backbone of our firm. The entire set up of machines undergoes regular checks and up-gradation in order to keep pace with the changing market needs and trends. We strongly believe that attaining maximum possible customer satisfaction is the key to success. Sincere efforts are made by us towards that end and we ensure that the customers have a delightful experience of conducting business with us. Our professionals spend quality time to understand the exact requirements of each and every customer. Accordingly, the products are designed and made available to the customers. We strive to provide the most cost effective solutions to our customers, in turn fulfilling their needs in totality. Our organization has years of industry experience in Cable Crimping Systems, Copper & Aluminum Connectors. Since the inception of our organization, we have been consistently delivering optimum quality products to our customers. Owing to our timely delivery of qualitative products, we have been able to gain credibility in the market. Furthermore, we take utmost care in packaging of our products in order to ensure their safely delivery.